I adore the Farmers Markets we have in Traverse City and Leelanau. I will come out and shout it from the rooftops because it is my favorite part of the whole week, especially from late spring through summer and the end of fall. 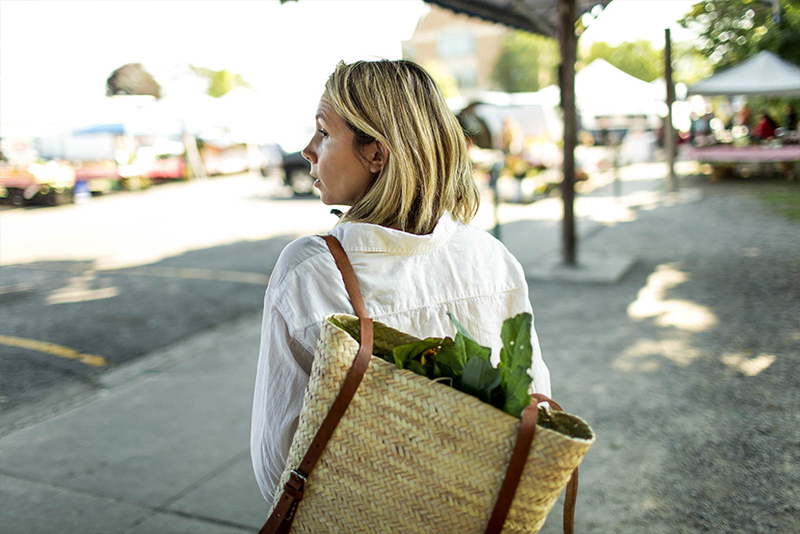 The markets are beautiful, always changing, full of flavor, lots of friendly faces, and inspiring ideas. 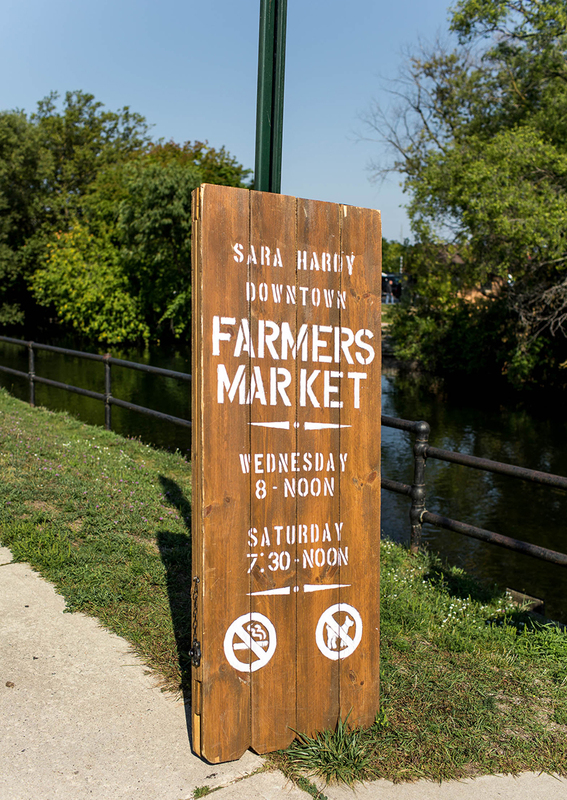 So today I partnered with the Michigan Farmers Market Association to take you through my day at the Sara Hardy Farmers Market in Downtown Traverse City, Michigan and offer some tips for food safety for you. 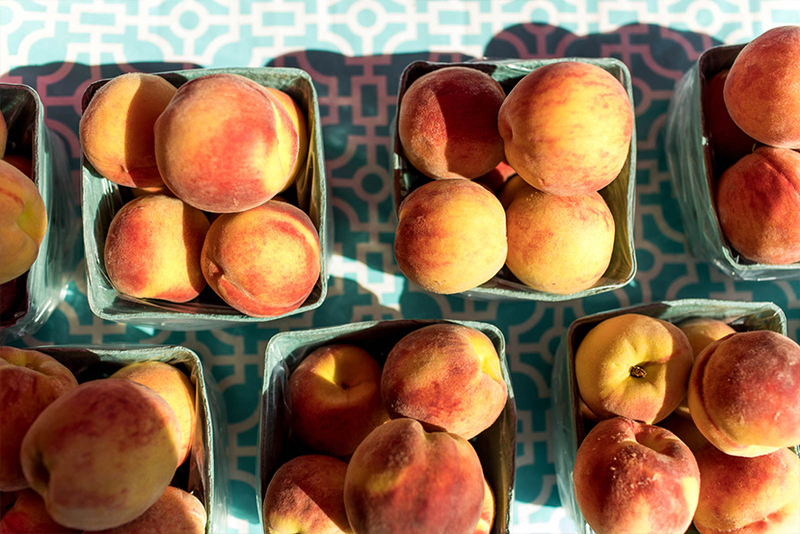 While we were living downtown this summer, I came to the market nearly every day. 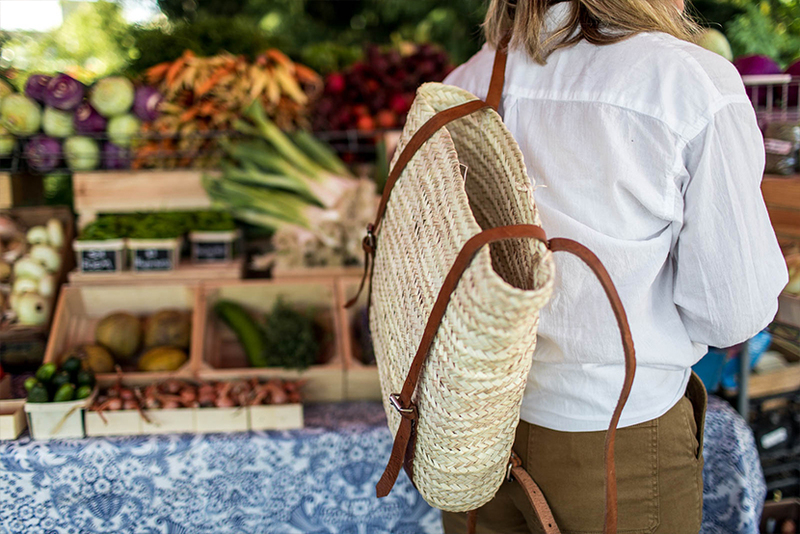 I would hop on my bike, wear my trusty market basket or take Hayes with me in a stroller down to the water where the market is held. It has been the routine every Wednesday and Saturday morning. Watching the market shift as the weeks passed has been such a treat. During the summer, I made friends with many of the farmers and learned from them. I talked with them about food, sustainability, proper care for your food, and how they cook with what they grow and more. 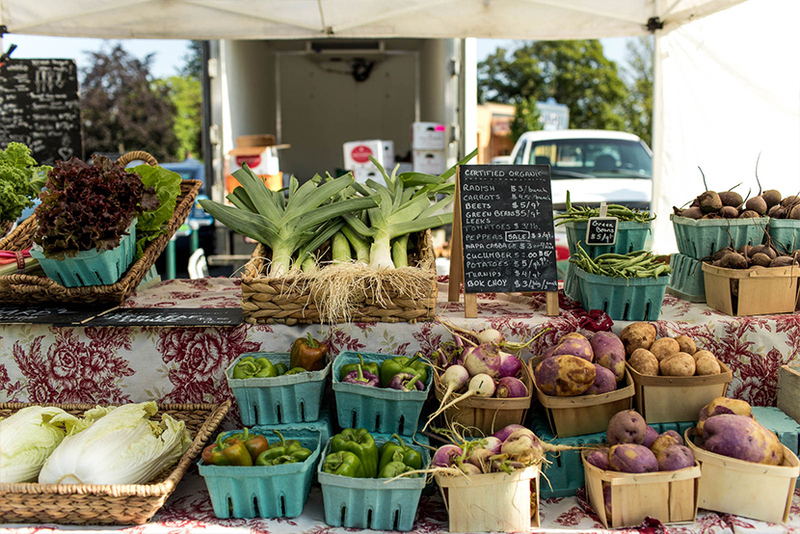 One way I keep up with the seasons and recipes for Michigan is by being on the Michigan Farmers Market Association newsletter, which if you are a Michigander you can sign up here. 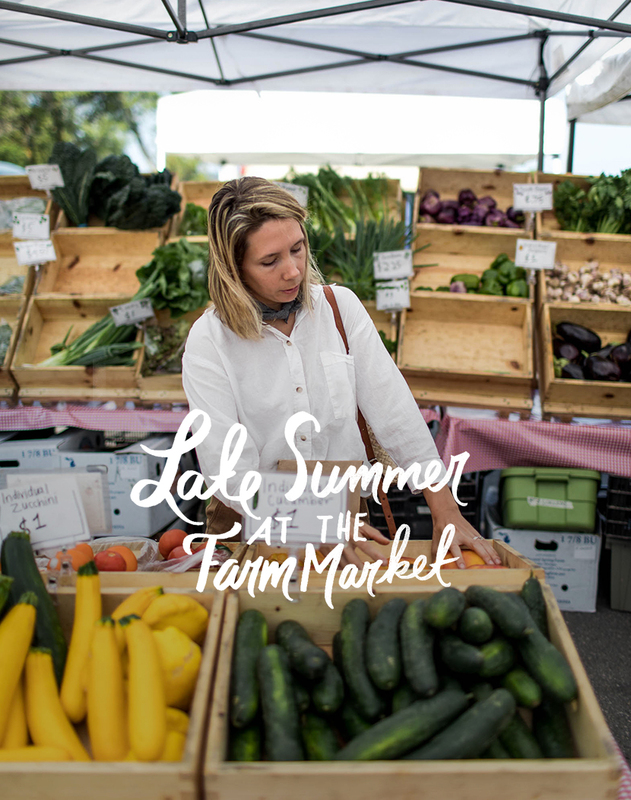 They offer lots of great recipes, news on local markets and farmers, and much more. Over my days at the market, I grew pretty passionate about some specific stops through the market. 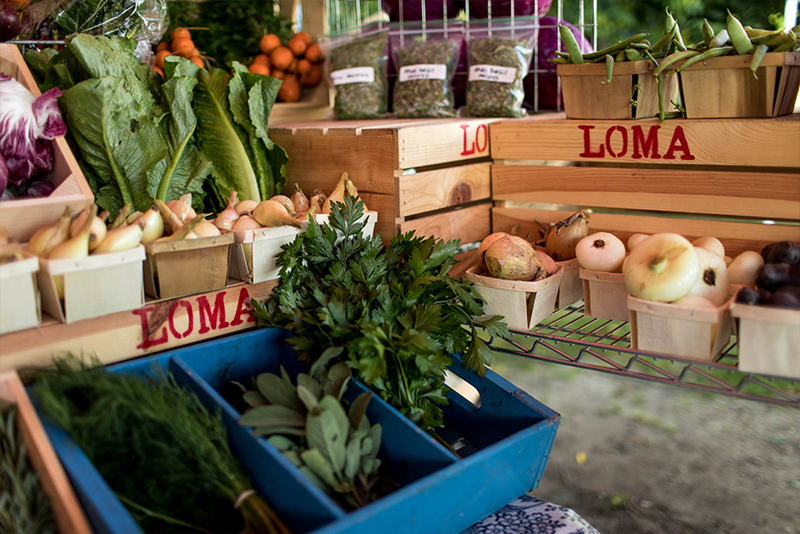 High on the list is Loma Farm. Nic and Sarah were kind enough to have me out to the farm to help out about a dozen times this summer. I wished I could have been there more, but life as a parent and entrepreneur is unpredictable so I just felt thankful enough to have some amazing days being apart of what they are doing just a few miles down the road from our home. They supply to many of the local restaurants that we love in the area and do an incredible job with their farm and the people they serve. 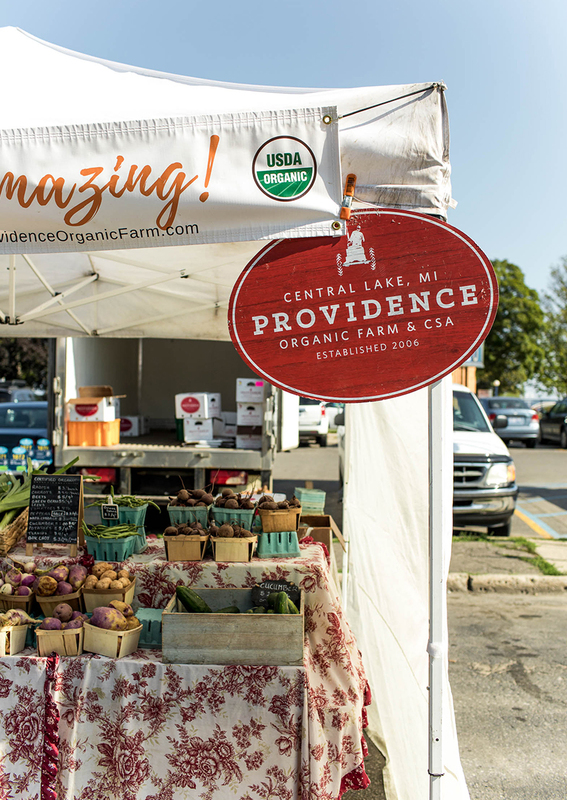 There is steep competition in Traverse City for the cutest market stand, but Nic has a way of adding in his personality to his stand that has come to make him rather famous at market. Selling poems and life coaching along with the amazing notes he places in CSA boxes for his members are just a few experiences he has created in what he is doing. On top of all of that, his veggies are amazing. Spending the summer along with him and his team, I saw first hand the dedication, intention, and focus he places into what he grows while caring for his community and the people he works with. So, whenever possible, I am stopping to nab some of what Loma has to offer at market. This visit, I picked up some beets and then he sold me on some Kohlrabi. I have never found the right way to eat it, but he suggested chopping it into match sticks and tossing it with lime, rice vinegar, olive oil, salt and pepper, and so on to make a slaw. A few nights later, I served it at a dinner party at our house and it was a hit across the board. This why I love chatting with the farmers about their vegetables. They know how to cook it all and know how delicious it can be becuse they are enjoying it daily and amongst their workers. You cannot come to Sara Hardy market without a stop at 9 Bean Rows for a goody. Every Saturday you can expect to stand in line and sometimes if you are lucky you are the first or second in line on a Wednesday. 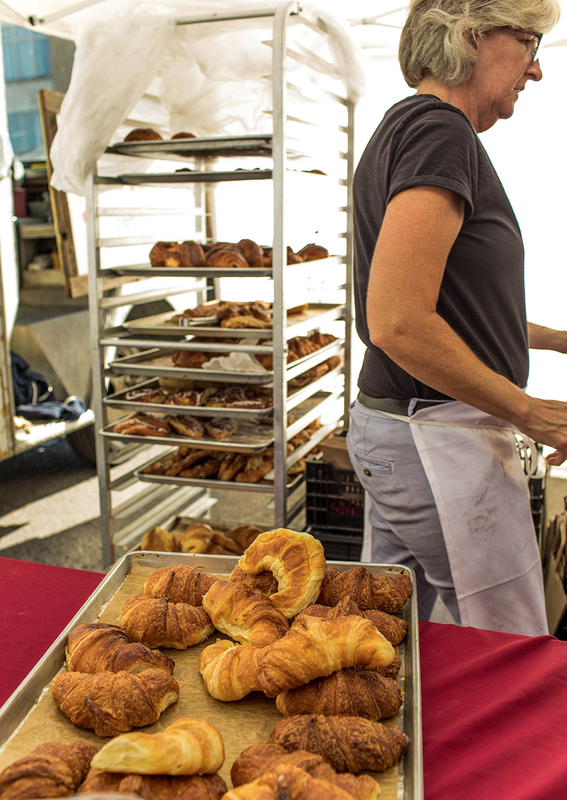 There are many great bakeries in town, but nothing compares to a 9 Bean Rows croissant as you wander through the market. It is worth the wait. Since they are located in Suttons Bay, it is convenient to nab them on a Saturday just down the road. 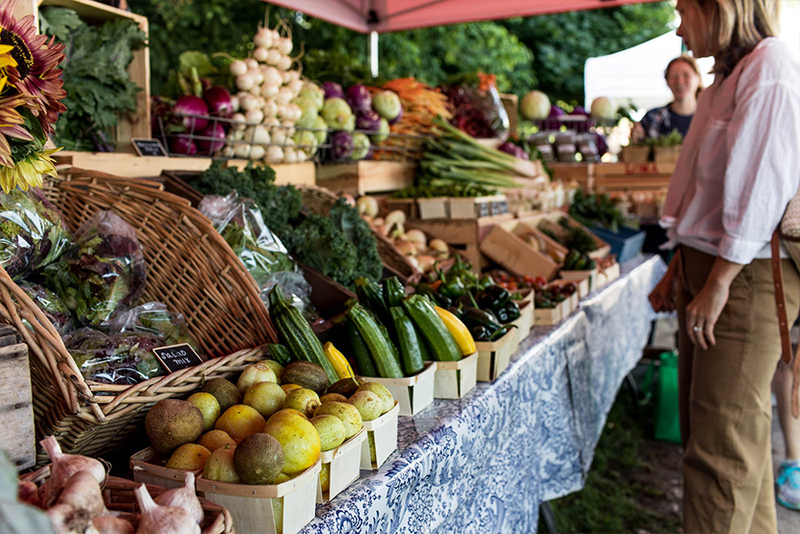 Not to mention, they grow some beautiful vegetables in Leelanau County as well. 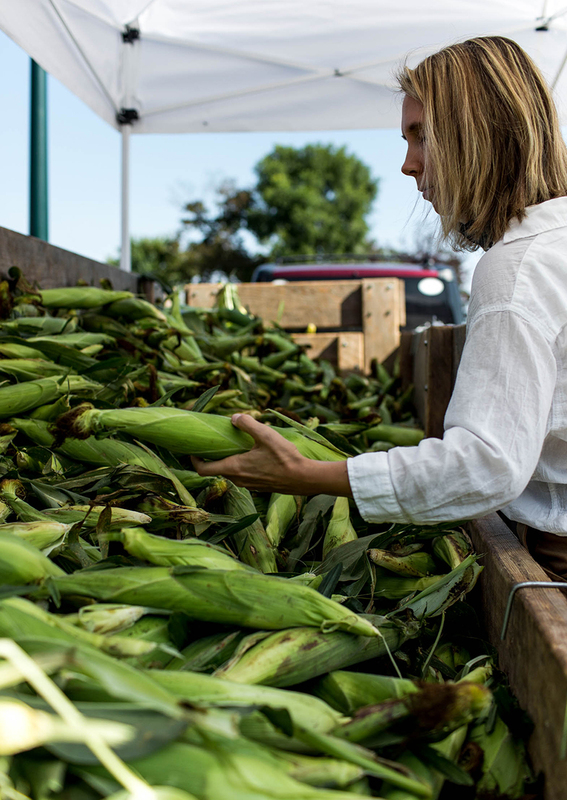 When not at the Farmers Market you can find them at their farm stand and bakery between Suttons Bay and Lake Leelanau. My suggestion! Get the butter, ham and cheese, and/or apricot. You cannot go wrong though. Everything is magic from them. Another one of my stands I frequent is Providence the girls here know me by my perfume and all summer they knew just what I came to pick up. I was always looking for their Tomatillos and herbs. Though they have so much that is beautiful it can be hard to narrow in on exactly what you want to take home for the week. 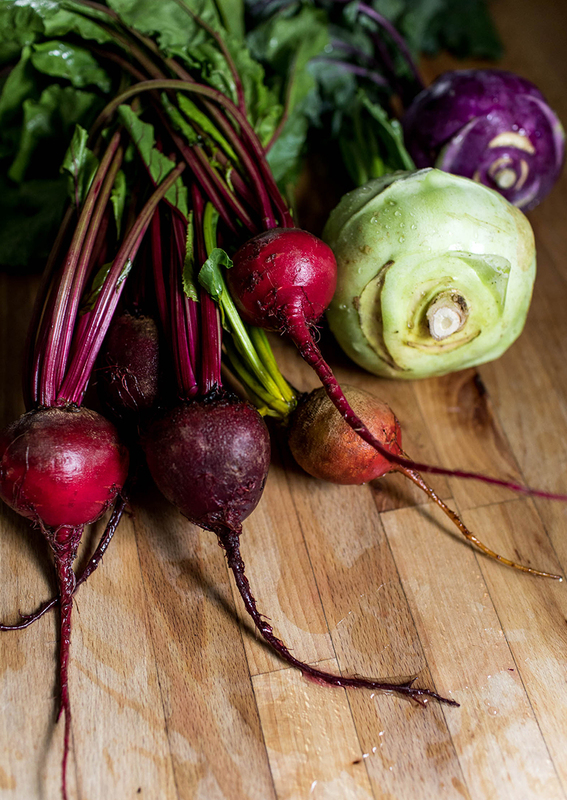 Whenever I am choosing veggies, I always keep an eye out for veggies that are not bruised or injured in any way. Though, you will be hard pressed to find any from these vendors I have mentioned as they are very selective and precise about their produce. 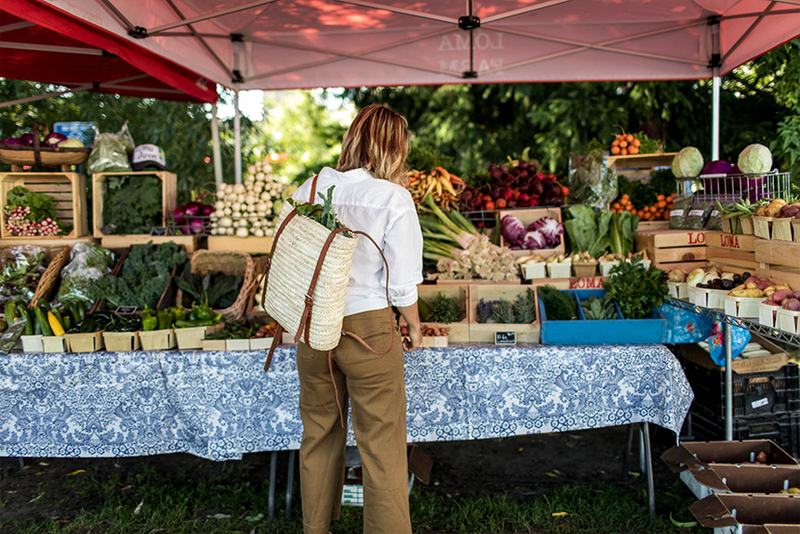 Every place wants to show their best at our market so it would be surprising to find quality items for you take home. 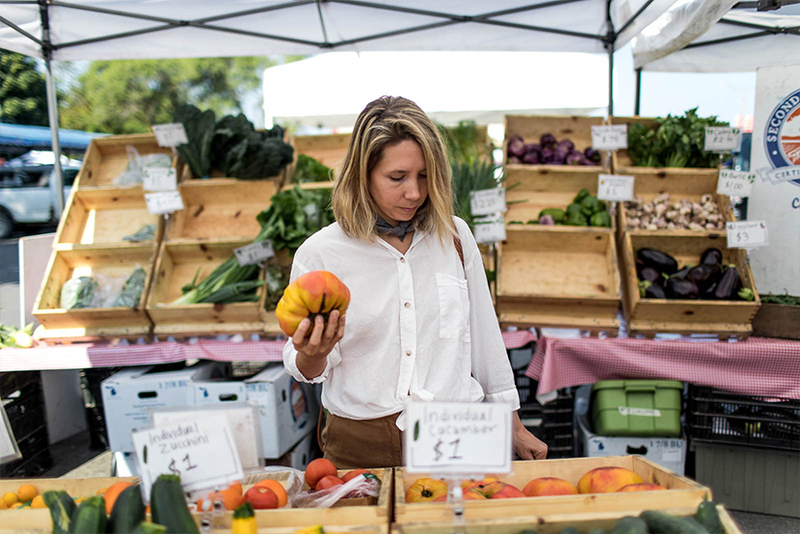 My love affair with the market was inspired by my friends at Epicure Catering I have worked with quite a bit as well as Alice Waters, of course. 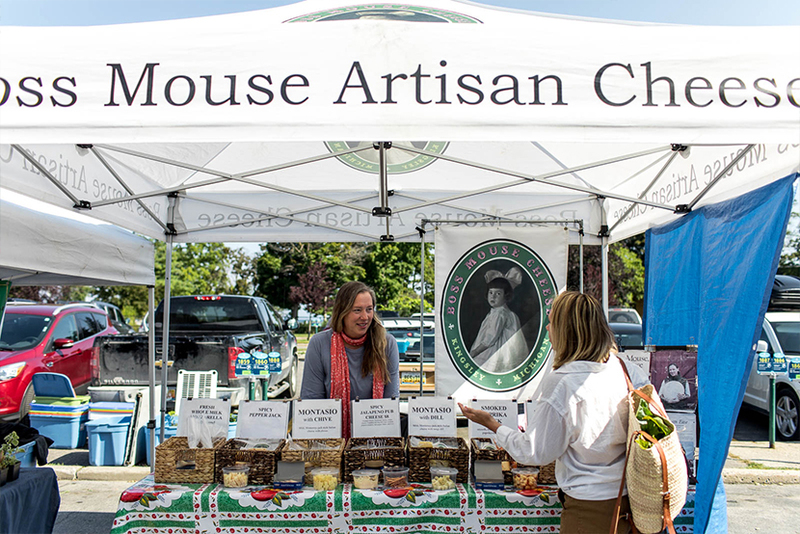 My friend Cammie at Epicure a few years back introduced me to Boss Mouse’s cheese and in particular Sue’s smoked butter. Since I cannot miss picking up some sort of goodie or taste of what she is working on, I always stop! For real though, smoked butter on grilled corn is the most unreal way to eat corn. My other frequent stop is Second Spring farm. 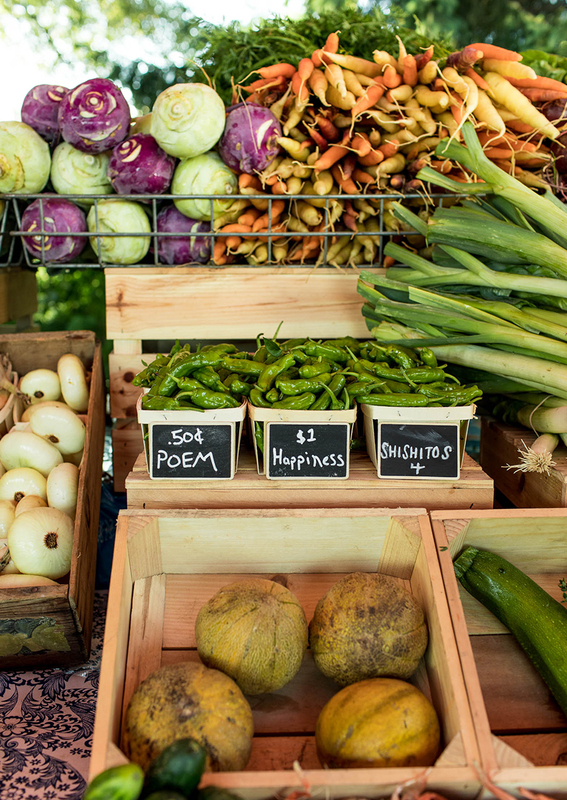 They continually have friendly faces, amazing vegetables and fruit, and great prices to boot. They have a large farm in Cedar, Michigan in Leelanau County, which is also just down the road from our home. All summer, we enjoyed vegetables from them of all kinds. Their radishes were pretty amazing as was their basil. 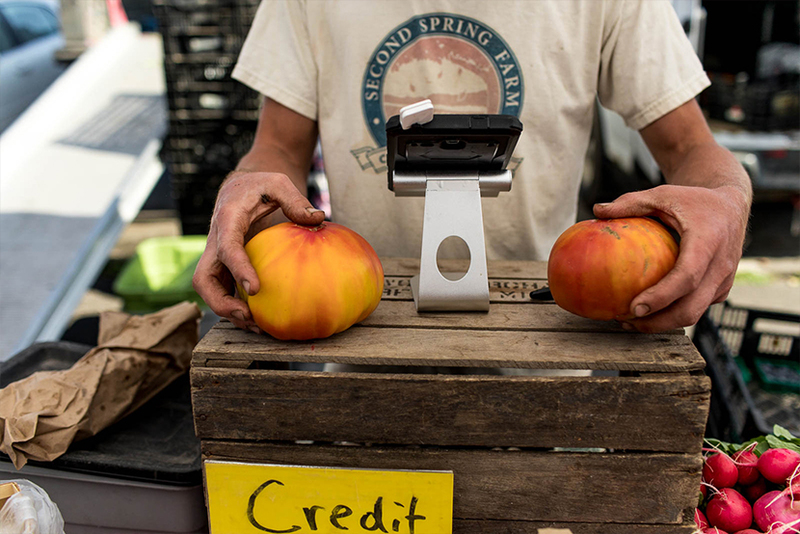 They are one of the few stands that have credit card readers, so I typically stop here at the end of my trip to the market to fill in the gaps after I have run out of cash for the day. There are tons of other stands I love as well. 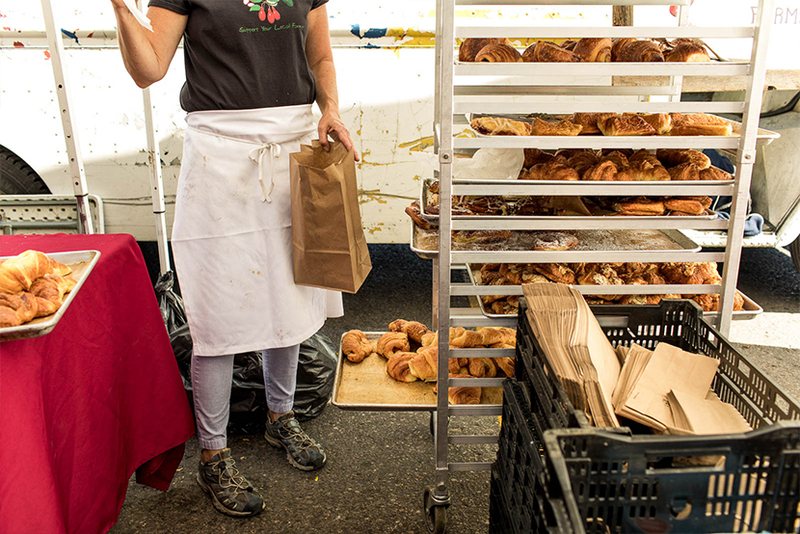 Wednesdays offer a different variety of vendors than Saturdays. 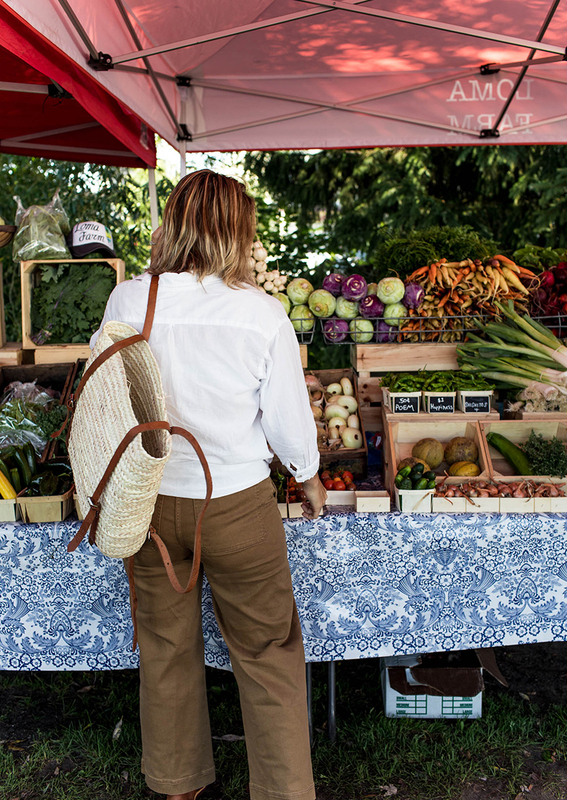 You will find more chefs on Wednesdays and more tourists and locals on Saturdays. It is always best to go early in the morning if you can muster it. The veggies are crisper especially on hot days and the selection is greater. 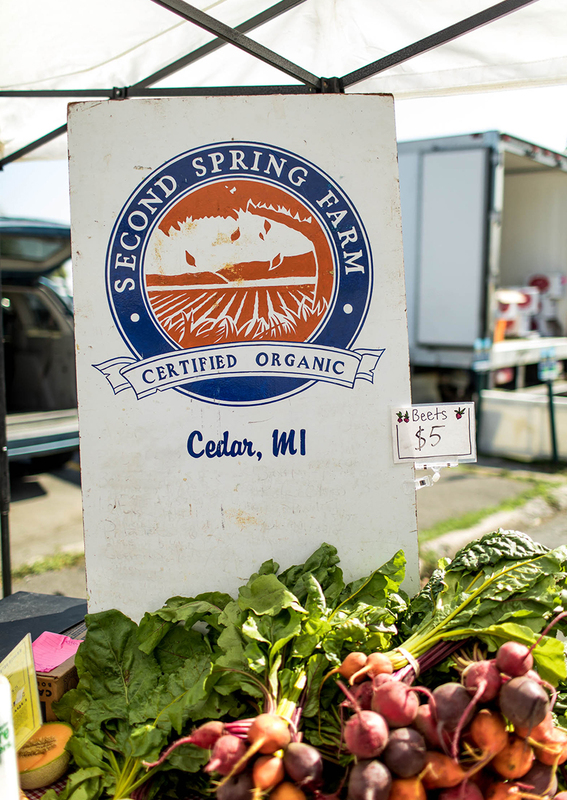 Next spring, I will be doing a post to give you a full guide to Farm Market shopping to help you navigate your own markets as well as the ones we have here locally in Traverse City. 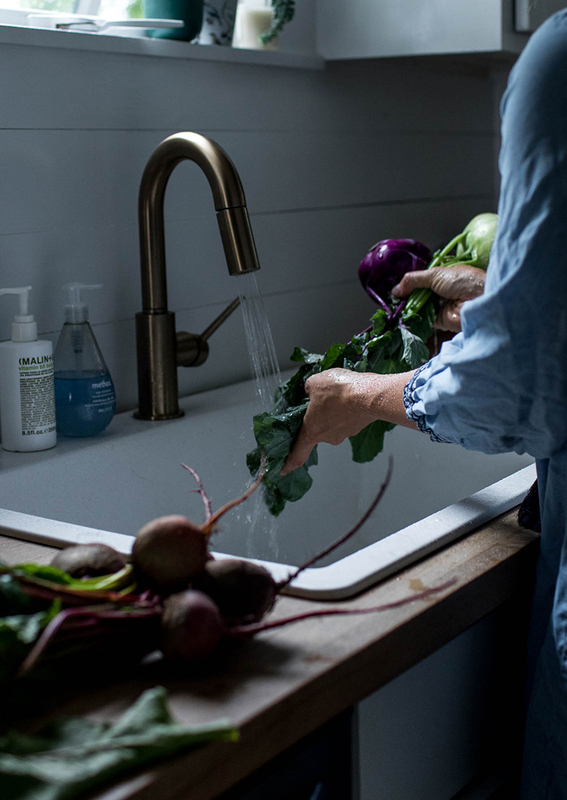 First, though, I wanted to give a couple tips to help you enjoy your veggies at their best and safest quality. 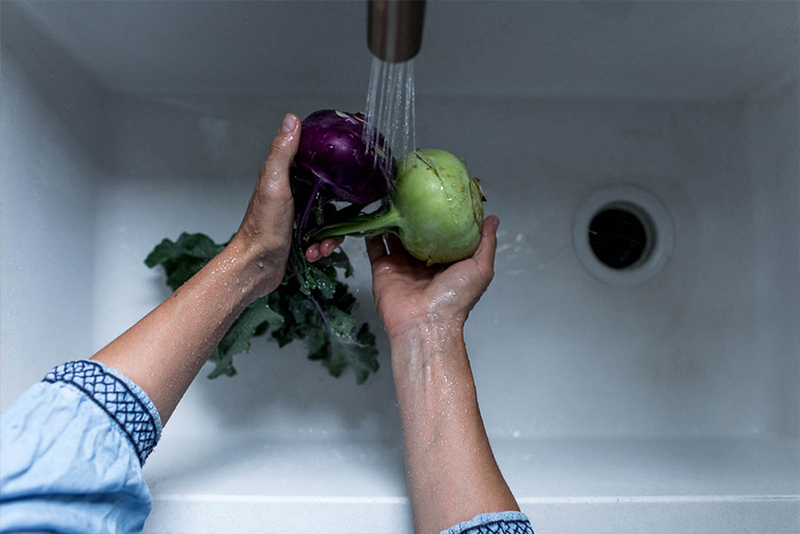 Before ever eating your veggies, always make sure to wash them well. I typically run them under water and allow them to dry on a dry cloth or paper towel before beginning to cook with them. I also would suggest when you get home if you prep any veggies for the week and slice them to place them in the fridge and ensure your fridge is no more than 40 degrees. 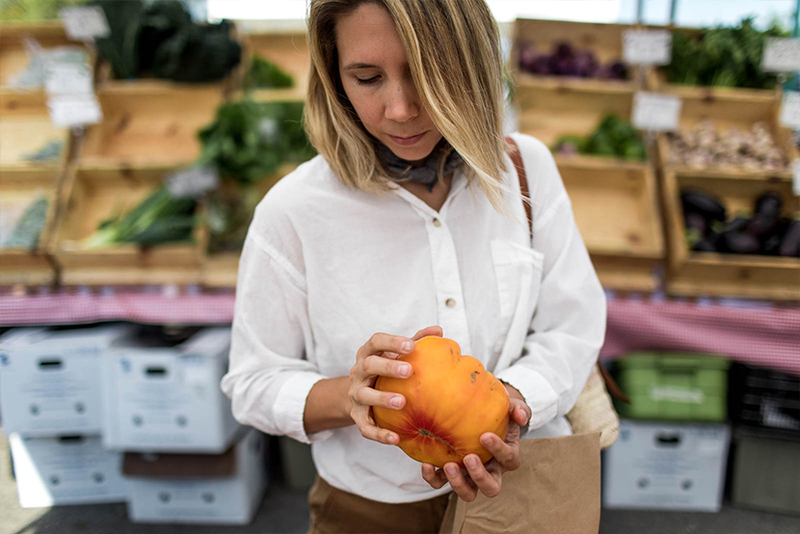 My final thing I am always doing after coming home from the market is, make sure all veggies and fruit are separated from my meats, cheeses, eggs, etc. 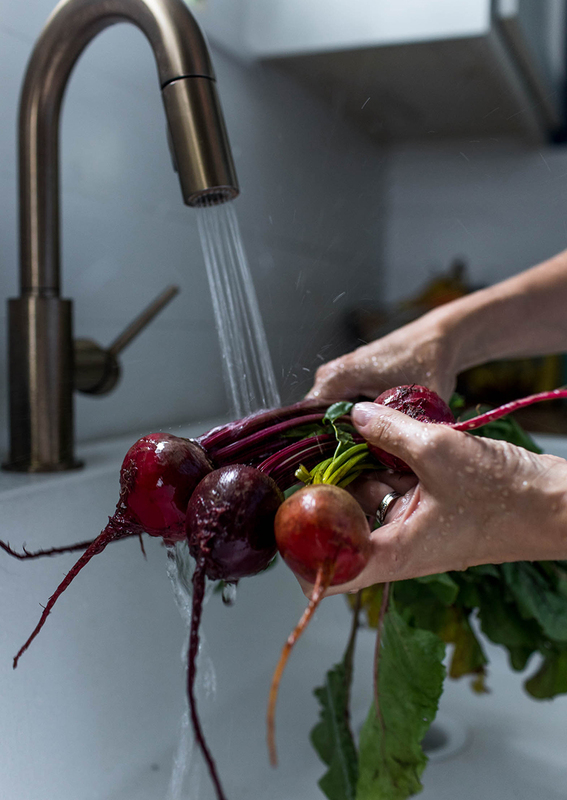 This helps keep bacterias separated and your vegetables safe for raw consumption. If you would like any other tips, you can read this food safety guide for further information. 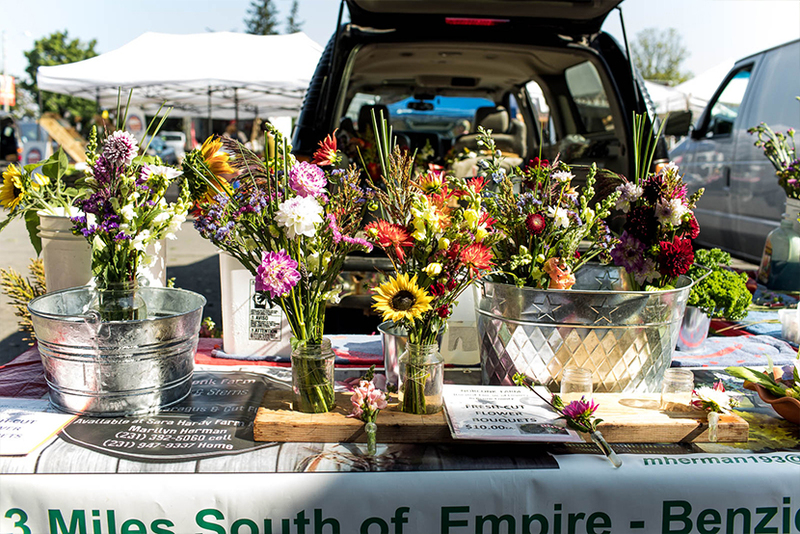 Farmers Market season isn’t over and most markets offer an interior market in the winter. 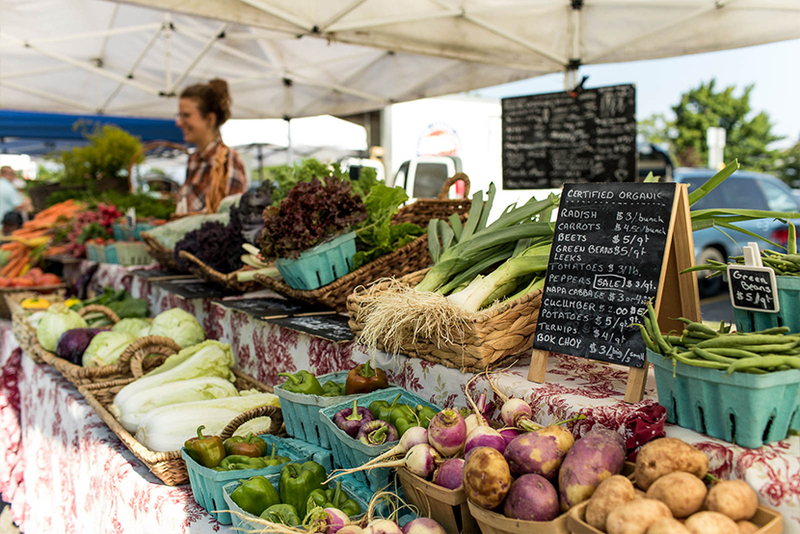 If you want to find one where you can frequent and chat with farmers as well you can use this farmers market finder for Michigan. Most states do offer their own as well. 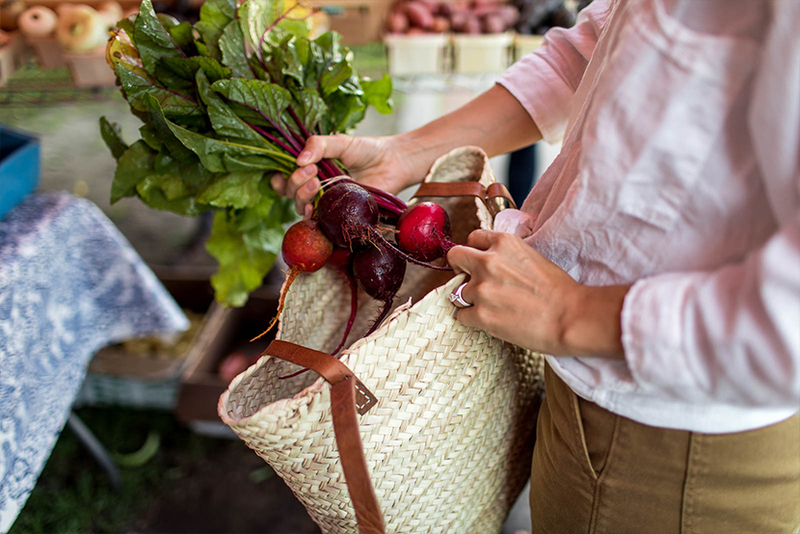 So tell me, what do you love the most about going to the Farmers Market? 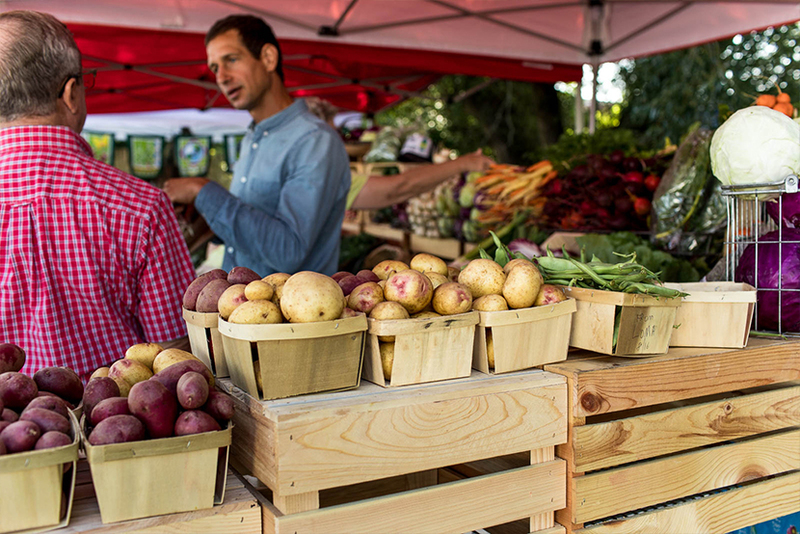 Do you have favorite stands or farmers you frequent yourself? I would love to hear! This post was sponsored by the Michigan Farmers Market Association. All thoughts and opinions are our own. 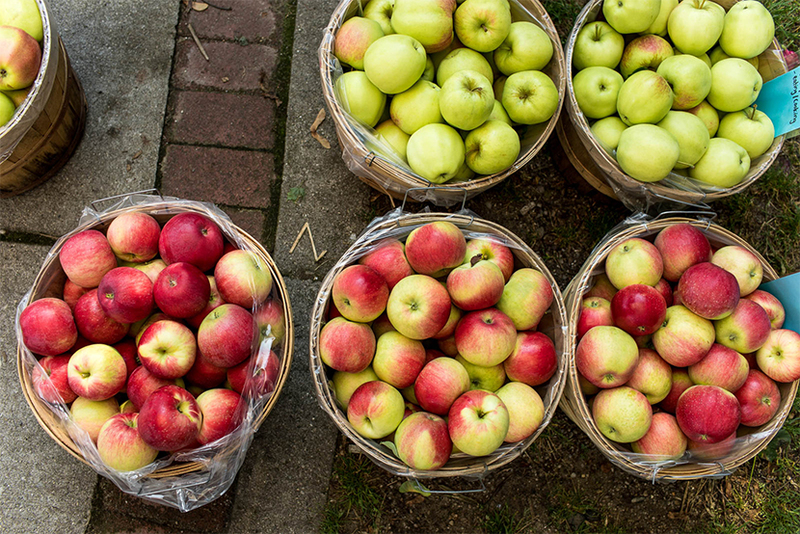 Thank you for supporting the brands that support The Fresh Exchange every month. This year all sponsored content we do, 5% of our compensation is being given to FLOW: For The Love of Water in order to protect the Great Lakes and to keep them the precious thing they are. If you want to read more about this find our post here. Those pineapple tomatoes are gorgeous and gigantic. And you’re killing me with the corn shots–we don’t get corn on the cob around here. Market day is the high point of my week as well. Ours is in the medieval town square, which is surrounded by cafés. So after shopping, I look for my friends among the terrace tables and have a coffee (or glass of wine) with them. The French vendors are just as helpful about explaining what unusual vegetables are and how to cook them. And everybody–buyers and sellers alike–tends to chat about recipes. My market strategy: buy the heavy, sturdy stuff first (melons, beets, etc. ), then the more delicate stuff, and the most delicate get purchased last–tomatoes, with strawberries on top. What a beautiful market!! I love it! 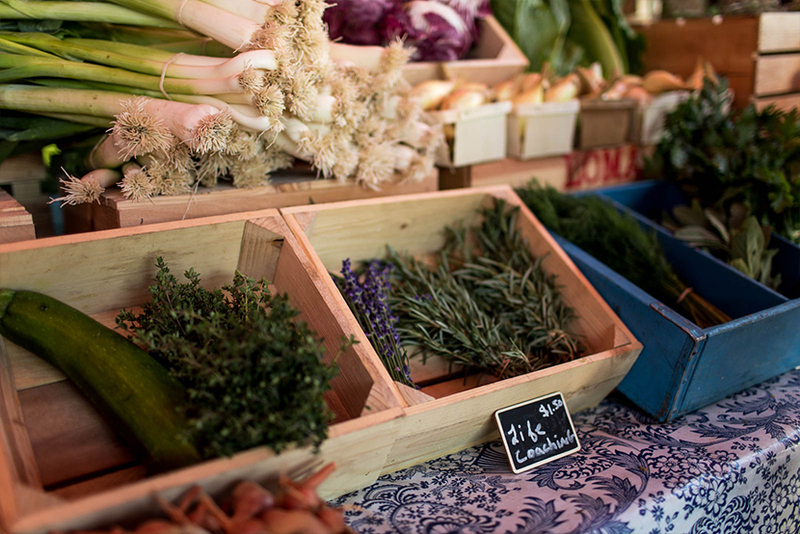 I love going to the farmers market – yours has so many fun things. Ours is much smaller (boo!) hahah!